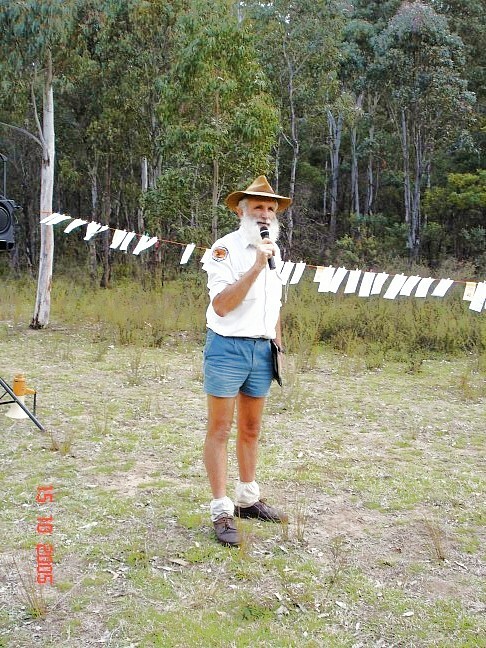 The 2005 NSW Rogaining Championships were held near Dunns Swamp in the Wollemi National Park. 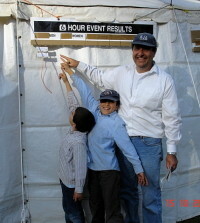 Amended results posted on 8/11/05. Team 26 had been omitted from previous posting. 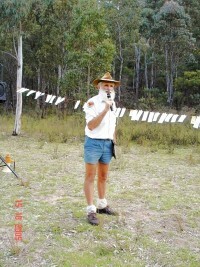 Trevor Gollan's photos added on 5/11/2005. The NSW Championships have been run on some of the most complex and challenging terrain that a rogaine is ever likely to be held upon in NSW. Two teams visited all of the controls! Rob Vincent and Shane Trotter finished by 0823 Sunday morning just in time for breakfast. Julie Quinn and Karl Perry-Strode finished at 1102 Sunday morning. Congratulations to them and everybody else who entered. We hope you had an adventure to remember. If you have a tale to tell about your experience and or photographs, and would like to share them please send it to myself or the editor of the newsletter. The organising team will provide a longer report for the next newsletter due out early in November 2005. Results are available here now and will also be published in the coming newsletter. Thanks must be extended to Kim van Netten, Jamie van Netten, Di van Netten and Bert van Netten for hosting the Tea and Damper stop in the north of the map as well as their contribution to the course setting organising and general conduct of the event. Thanks also to Ian Dempsey for course setting, organising and map production amongst other activities. ; to the members of the Olinda Community Association for the Hash House, to First Waitara Scouts for their contribution to the Hash House; to Chris Pavich and Matt De Jong of National Parks and State Forests respectively for their contribution and assistance with public land access; to David Coysh for his admirable administrative skills assisted by Ken Stocks, Darren Stocks and Denise Clarke. Lastly thank you to the private land owners Michael Suttor, Betty Keech, Chris Brierly, Mel Cavalero, and lastly to Rod and Kym Leffley who kindly provided the Hash House site. Thanks to you all. Lost property, a set of house keys consisting of a number of bi lock (they have a double parallel blade) keys was lost at the event the organising team has received an enquiring about whether they where found. I f you did find a set a keys can you contact us and we will put you in touch with the owner. In lost property we have a walking pole and a grey bottle again contact us please if it is yours. More stories and reports will follow in the coming weeks here on the website and in the newsletter. National Parks and Wildlife Service Ranger, Chris Pavich, giving the Occasional Address at the Start of the event. Look! We are coming First!